Organ donation: Does presumed consent work? Organ transplantation can be the best treatment for some illnesses. But treatment depends on the availability of donated organs, and supply is a perennial problem. There are long waiting lists and many patients deteriorate or die before receiving organs. The UK has one the highest number of people donating their organs to relatives while they are alive (living donation) in Europe. But altruism at the point of death is rarer. People in the UK would rather risk their health by donating a kidney when they are alive than give their kidneys away when they are dead. And people are becoming less altruistic. The 2014-15 UK Transplant Activity Report shows that for the first time in 11 years the number of people who donated organs fell. Since 1989, the UK has been under the informed consent law which means that organ donors must give explicit consent before they die. This is usually recorded on a donor card or formal register. On 1 December 2015, Wales will be the first UK country to change its organ donation law. The new Welsh system presumes that people who have not recorded an organ donation decision on the NHS organ donation register have no objection to donating their organs. This is normally referred to as 'presumed consent', meaning that unless people opt out explicitly, it is 'presumed' that their organs will be available for donation. The Welsh have called it 'deemed consent' and they describe their new system as 'soft opt-out' because families are always given the opportunity to say 'no'. In the last 30 years, almost every country in the European Union has implemented new organ donor laws that are either explicit consent or presumed consent. Studies have shown that countries with presumed consent have the highest deceased donation rates. Those studies, however, tend to compare the broad legal requirement: informed versus presumed consent. But each presumed consent law is unique. The key differences are described as 'strong/hard' to 'weak/soft', referring to what extent the deceased's families are consulted by doctors. In practice, there are even more subtle differences. This diversity makes the direct cause-effect relationship between consent law and donation rates questionable. Deceased donation rates vary significantly across the world, with Spain as the leader for 20 consecutive years. Country league tables abound, as do explanations for the relative success or failure of each system. To date, research has struggled to understand these differences and the reasons behind them. 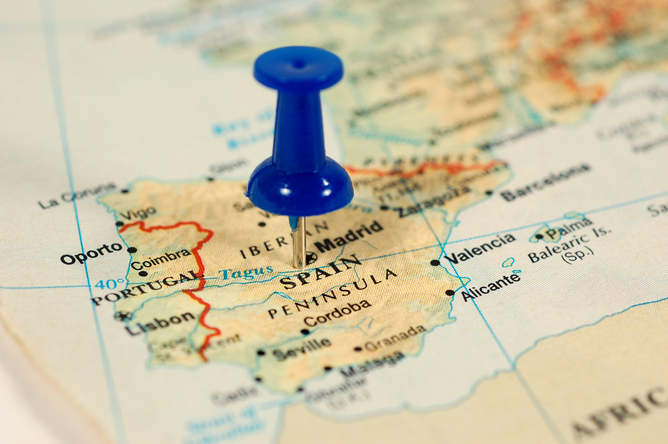 Nobody knows exactly what makes Spain's system of organ donation so successful, but many countries have tried to copy their organ donation legislation: presumed consent. This political focus on using law to enforce altruism persists despite two contrary pieces of evidence. One, some countries with presumed consent – such as Sweden – have low donation rates. And, two, Spanish doctors attribute their success to other factors, such as large investment in national, regional and local procurement infrastructure supported by the Spanish National Transplant Organisation and a large network of transplant coordinators already working as intensive care doctors (rather than nurses, as in the UK) in small and large hospitals. Should the rest of the UK follow Wales? Deceased organ donation requires the coordinated effort of many people (donors, families, hospital teams from assorted departments and institutions). In a short time, the intersection of high-technology medical science and the frailties that surround human decision-making collide. On death, the donor's wishes – sometimes specified and sometimes not – have to be reinterpreted by family members in conjunction with hospital staff. Enforcement of consent laws is never an easy task. In fact, the main reason for the Spanish to dismiss legislation as the key to their success is that it has never been enforced. Families of potential donors are always consulted and organs are never removed if families oppose it. In fact, presumed consent laws are mainly unenforceable everywhere. Doctors always feel obliged to consult with close family members, even for people who are registered as donors, and they will not overrule their objections. So, will presumed consent be a success in Wales? It's hard to tell, but if it is, it will probably have more to do with awareness campaigns than the actual law.